Among all the nutrients that our body requires, proteins are one of the most important that we need. Proteins are the building blocks of the body and are most important in developing muscles in the body. Being something that does such an important function, it makes it essential that you consume food that helps your body obtain enough amount of protein on a daily basis. Fruits, vegetables, dairy products and mainly non vegetarian foods are the common food items that contain protein. You can make any of these food items parts of your diet so that you get your daily requirement of protein. Preparing a proper diet plan including all these is the best thing you can do. To understand how to prepare that, let us first understand the importance of proteins and all the fruits that provide proteins. Proteins are made up of chains of amino acids. The basic building structure of the body is made by twenty of these chains. 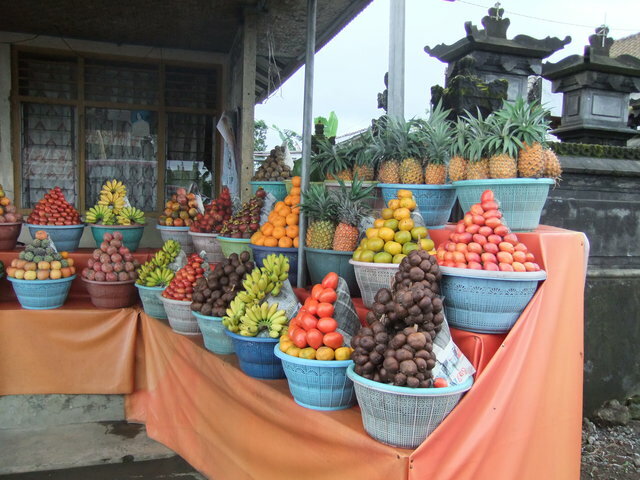 Fruits are not considered as a conventional source of proteins by many. Most of the people consider dairy products and non vegetarian food as the most important source for protein. But it is a surprising fact that some of the fruit varieties if consumed regularly can provide enough amounts of protein. Some of the common fruits which are rich in proteins are apricots, cherries, banana, papaya, kiwi and dried prunes etc. These fruits are good sources of proteins and can be considered to be made part of your diet. Let us see the adequate quantity of each of these fruits that you will have to consume so that you will get enough amounts of daily proteins required. You will get 5 grams of protein when you consume a cup of dried apricots. By consuming same amount of dry prunes, you will be able to gain 4.5 grams of protein. A cup of cherries can give you 3 grams of proteins. Other fruits you can depend upon for protein intake are apple, guavas, jackfruit, mangoes, dates, melon, mulberries, strawberries, plums, watermelons, raspberries etc. All these above said fruits are good source of protein. You can consume all of these on a daily basis and keep yourself free from protein deficiency. Protein deficiency in our body can lead to many irregularities such as improper growth of muscles, bad skin texture, bad digestion etc. having protein rich fruits in your diet can help you avoid any of such symptoms. Protein content in these fruits usually ranges between 0.7 – 15 grams. As these fruits are easily available, you can consume the required amount of proteins by simply making them part of your diet. You can also try including walnuts, coconuts, and salads in your diet as they can also help you meet the daily requirement of proteins. So while deciding on your daily diet, do make a conscious decision to include these high protein fruits. They are not only refreshing, but also healthy for your body too. Take some dried apricots and chop them. You can add it in to your cereal or even bake a yummy high protein cookie with them. Add raisins to your oatmeal or oatmeal cookies. You can even munch on raisins as a casual snack. Slice up a guava and eat it directly as an evening snack. You can also add it to a fruit salad. Dates are a rich source of iron and proteins. You can have it as a portable snack any time. They are quite chewy, and you can even bake them. Prunes can be eaten all by themselves as a healthy snack on the go. Avocado is another fruit that can give you loads of proteins. You can use it in a number of ways. Avocados can be used as an excellent salad topping. You can also mash it up in to a guacamole. Avocados make an excellent snack all by themselves as well. Adding them to your smoothie gives it a smoother texture. It adds proteins, healthy fats, and also leaves you feeling full longer. Kumquat can be used with no hassle. You can just wash it well and eat it. The seeds can be spit out in case you do not like, even though it is not necessary to do it. Jackfruit has a large size and thick outer covering. This makes it a difficult fruit. But, it helps give a variety to your dishes. It has a sweet flavour, which makes it a yummy snack. Currants are small in size, and shaped like berries. This makes them easier to pop in to your mouth whenever you feel like. You can use it for salad toppings as well. Jam can be prepared from currants, just like any other berries. Raspberries gel perfectly with yoghurt. This gives you a good start to your day with high proteins. Yoghurt is also rich in proteins, and they complement each other in their tartness also. Bananas can be taken any time as a snack. They can be added to oatmeal or cereal, and also to smoothies to increase the protein content and smoothness. Peaches can be added to smoothies or yoghurt to get added proteins. Make sure to finish them before turning bad. Figs can be used in a number of ways. It tastes perfect as a salad garnish or an appetizer. Take some organic honey and add it to grapefruit to make a healthy snack that eliminates all sourness of the grapefruit. Cantaloupe can be eaten by itself, or with other kinds of melons to make a yummy melon salad.